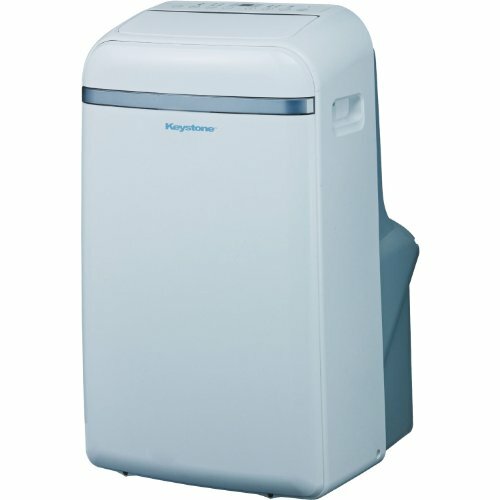 Keystone - KSTAP14B : Portable Air Conditioner Review • The Air Geeks, reviews of air conditioners, dehumidifiers and air purifiers. The KSTAP14B is a strong air conditioner that offers an impressive cooling capacity of 14,000 BTU. It is suitable for medium and large offices, bedrooms, living rooms, and server rooms to mention a few. In addition to cooling, this unit features a built-in dehumidifier that draws excess moisture from your room to ensure that it has a truly comfortable environment. If you have been looking for a strong unit that is capable of transforming the environment of your large room, then you need to consider this air conditioner. Have you already identified the KSTAP14B as a suitable solution for your air conditioning needs and you are searching for more information about its features and performance? In case that is what you are looking for, then we are glad to let you know that we have all that information right here. We have researched widely to provide you with information that you can rely on. Apart from exploring in details the features and performance of this portable unit, we have also explored its strengths and weakness. Without wasting time, let us start with its description. In case you are looking for a strong air conditioner for your large space, then you should consider the KSTAP14B. This powerful air conditioner offers a cooling capacity of 14,000 BTU. Its impressive cooling capacity makes it a suitable choice for rooms that are as large as 700 square feet. In addition, this AC is highly effective and cools a room within a short time. If you want to control the temperature and the relative humidity of your room, then you need a multipurpose air conditioner instead of buying two separate appliances. This air conditioner features a built-in dehumidifier that is capable of pulling up to 72 pints of moisture from the air per day. 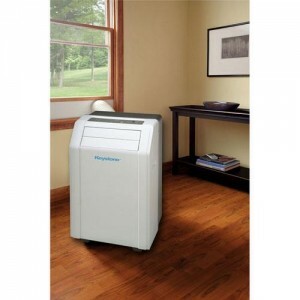 This dehumidifier pulls excess moisture to ensure that your room is unsuitable for the growth of mold and mildew. It also helps to protect your possessions from the damaging effects of excess moisture. Unlike most dehumidifiers, this air conditioner employs a self-evaporative mechanism and does not feature a bucket. Emptying the bucket manually is a boring task that demands regular user attention. This unit is different and therefore suitable for people who don’t have time for such tasks. In addition, this design ensures that the system runs continuously without warnings or shut offs. The KSTAP14B features a remote control that allows you to adjust the environment of your room without the need to walk to where the unit is positioned. 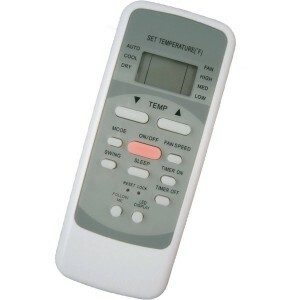 In addition, it features an LCD remote control and offers a 24-hr timer. Furthermore, the KSTAP14B features caster wheels that allow you to move it from one position to another by pushing it. From our research, we have noted that the KSTAP14B has a poorly designed exhaust hose that make it difficult for users to install it with ease. In addition, this inflexible hose is poorly insulated and allows heat back into the room. To enhance the efficiency, you can wrap it with a good insulator. Effective cooling. We have observed that this unit cools a large room within a short time. It performs well in rooms that are as large as 700 square feet. Strong dehumidifier. 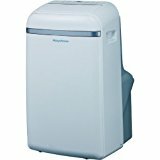 The built-in dehumidifier of this portable air conditioner is capable of pulling a lot of moisture from the air within a short time. No bucket to empty. The unit uses self-evaporative mechanism and therefore does not require regular user attention. The fan produces noise. We have observed that this unit produces a disturbing sound. In case you are intending to use your air conditioner in a quiet room, then you may need to consider another unit. The exhaust hose is poorly designed. The hose is not flexible and it is hard to attach it with the available fittings. Poor insulation lowers efficiency. The exhaust hose and the window sealing are not properly insulated. This allows some heat to escape back to the room thereby lowering the overall efficiency. Leaks water. We have noted that many cases of the unit leaking water have been reported. The KSTAP14B is undeniably a strong unit that offers impressive features. This unit is suitable for cooling as well as dehumidifying your room. In case you are looking for a unit that is capable of creating a comfortable environment in your large room, then this unit is a suitable choice. Although this unit is powerful, we have noted that its hose is poorly designed and this makes it difficult for users to install it properly. Its lack of proper insulation lowers the overall efficiency. In case you feel that the strengths of this unit outweigh its weaknesses, then you can proceed and buy it. You have all the details and it is therefore up to you to decide. At the Air Geeks, we love it.